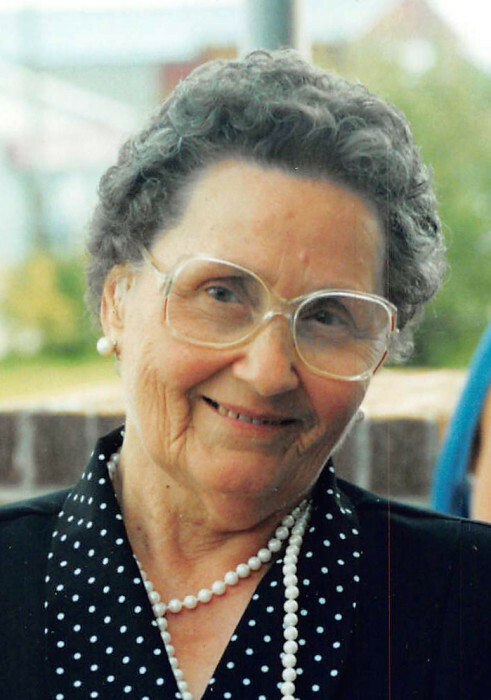 Obituary for Mary Pytak | Résidence Funéraire Fawcett Funeral Home Inc. It is with great sadness and heavy hearts that the family of Mary Pytak, beloved mother, grandmother and great-grandmother passed away, with family by her side, at the John Owen Evans Residence on Thursday November 29, 2018 at the age of 94. She was born in the town of Novogradvolynsk, Ukraine, May 15, 1924, to Alexis and Olga Romanuik. She immigrated to Canada with her husband Michael and their three children in 1952. She was predeceased by her husband of 49 years, Michael Pytak, in 1995; her parents; and sister Sonja and brother Bill in the Ukraine. She leaves to mourn with fond and precious memories her children Bob Pytak, Calgary, AB (Pat), Lynda Vallieres, Manitouwadge, ON (André), Sam Pytak, Geraldton, ON (Lisette), Alice Pytak, Sauble Beach, ON (Leo), Nina Pytak, Geraldton, ON (Jack); grandchildren; Jacqueline Ktytor, Thunder Bay ON (Brian), Tammy Vallieres, Woodstock ON, Vickie Fallis, Yorkton SK (Jamie), Blair Pytak, Calgary AB (Stephanie), Bryan Pytak, Calgary AB (Chelsea), Michael Pytak, Fort Mcmurray AB (Paulette). Great-grandchildren Andrew, Matthew, Paris, Addison, Vienna, Sophie, Evan, Sophie and Sam.